After being in production for almost a decade, there is currently no sign that Nike Free running shoes will be out of our sight anytime soon. True enough, here comes the new 2013 Nike Free collection which has landed into our shores recently. For this year’s edition, a lot of focus have been given to collection’s upper area. As an example, the 2013 Nike Free 5.0’s top has been refreshes with newly designed mesh and lightweight structural designs while its flexible and low-profile Phylite midsole with 8mm heel to toe offset as well as the waffle outsole configurations remained the same as the shoe’s counterpart from 2012, the Nike Free Run 3. The 2013 Nike Free 5.0’s new upper also marked the arrival of Nike Dynamic Flywire technology – previously utilized on recent Nike Running shoes such as Air Max+ 2013 and Flyknit Lunar1+ – into the Free family of running shoes. Article continues after the jump, through the Read More link below. 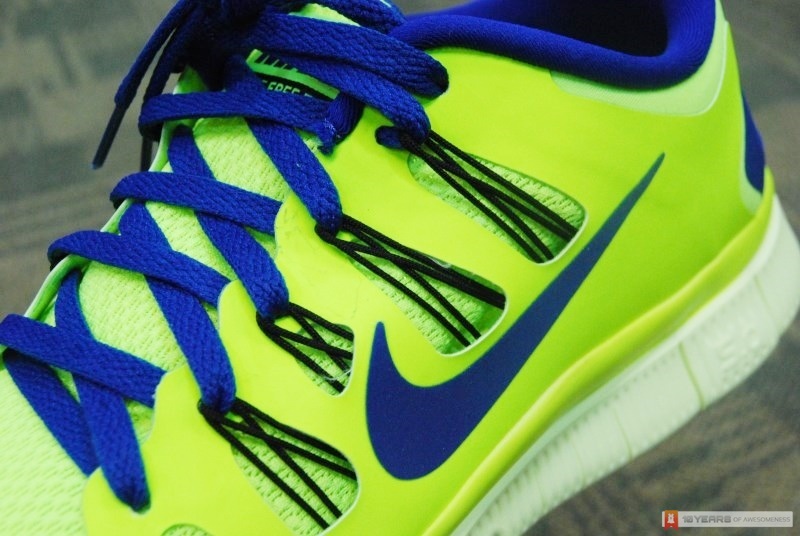 Closer look at the Dynamic Flywire cables on 2013 Nike Free 5.0. 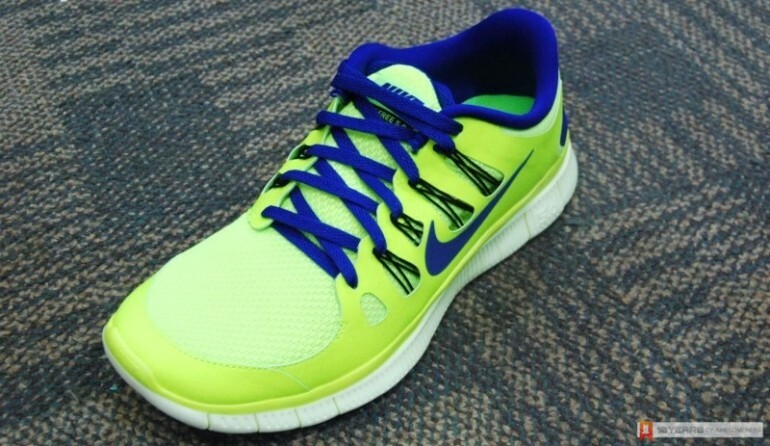 While the role of the tech is similar to the Nike Free Run 3’s Dynamic Fit which is to provide fit and support in the mid foot area dynamically as the wearer runs but the implementation on Free 5.0 is rather different as the Flywire cables are spread out throughout the midfoot section individually rather than just in one chuck of structure as per Dynamic Fit’s implementation. 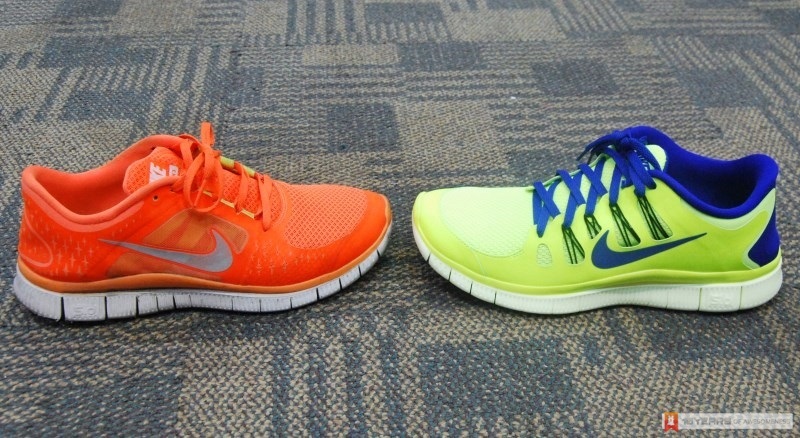 [L -R]: 2013 Nike Free 3.0 and Nike Free 4.0. Apart from Free 5.0, the 2013 Nike Free collection also includes the 2013 Nike Free 4.0 and Free 3.0 which are designed for runners that wanted to be even closer to barefoot-like feel through the use of thinner midsoles. 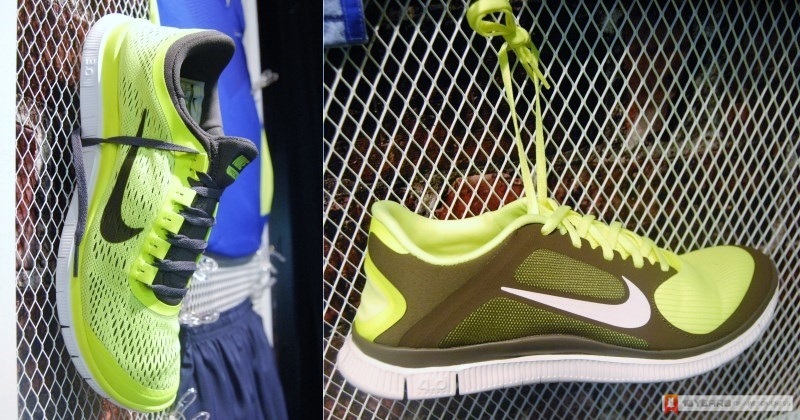 All three 2013 Nike Free running shoes are priced at RM 409 each and are readily available at Nike Stores as well as sports retailers nationwide. For further information about the new 2013 Nike Free collection, connect with Nike Running Malaysia through www.nikerunning.com.my or www.facebook.com/NikeRunningMY.